Diiodohydroxyquinoline is an antimicrobial agent. 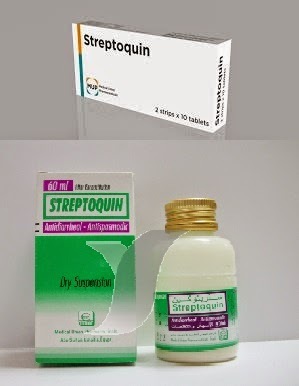 which acts principally in the bowel lumen for the treatment of diarrhea and intestinal amebiasis, particularty for cyst passers.Streptomycin sulfate is poorly absorbed from the gastro-intestinal tract and may be of value in the treatment of diarrhea caused by E. coli, Proteus vulgaris and other susceptible organisms. Homatropine methyl bromide is a quaternary ammonium anti muscarinic agent with antispasmodic action on intestinal smooth muscles. 3- Diarrnea caused by other intestinal infections and associated with intestinal colic. Gastro-intestinal symptoms, headache and allergic skin reactions may occur rarely.